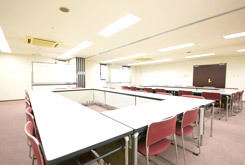 Facilities/Services | Urban Hotel Kyoto | 5 min by car from Kyoto Minami IC. 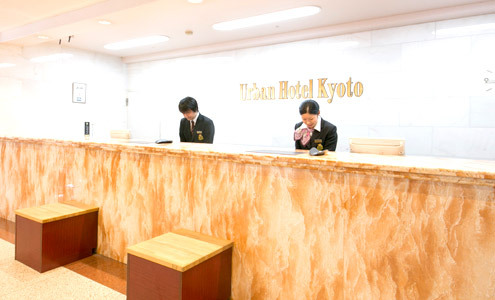 The Urban Hotel Kyoto has facilities and services to ensure your stay in Kyoto as comfortable as possible, including a Japanese restaurant on site that uses locally sourced ingredients. The Front Desk is manned 24 hours a day. Feel free to contact the Front Desk with any questions about facilities or services. Internet access is available in the lobby for ¥100/10 min. Also, souvenirs of Kyoto are available for purchase. Lavender offers aromatic coffee and tasty snacks including Danish Bread from Kyoto Gion Boloniya. Kyowasabi serves a variety of Japanese cuisine, including sushi and their signature Tsuyushabu, made with locally sourced ingredients. The Community Hall (Meeting room / Banquet hall) is a spacious room that can be used for banquets, parties, training sessions, seminars, etc. 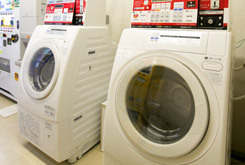 A total of 5 washers and dryers are found on the 3F and 6F, and can be used 24 hours a day. 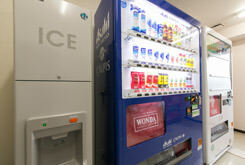 Vending machines sell alcoholic beverages and soft drinks. An ice machine is also available. 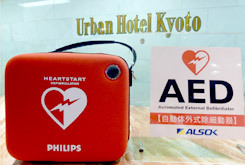 This therapeutic apparatus automatically diagnoses the life-threatening cardiac condition and has a function to help the patient get well again. Rental items are available for guests in need. Quantities are limited, therefore inquire with the Front Desk. Buses, vans and trucks can use the parking garage. 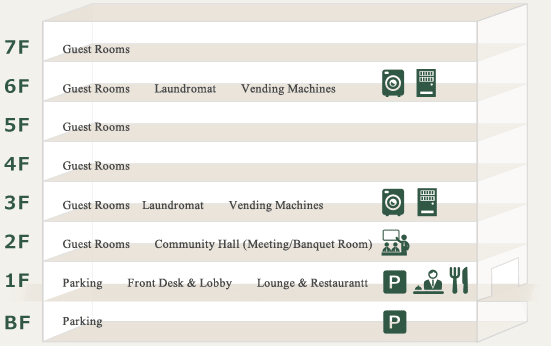 * Notify the hotel that you will be using the parking garage when making your reservation. * Notify the hotel if your vehicle is midsize car, bus, van, truck, or exceeding 2 m of height. Parking may be unavailable depending on bookings.